Conductive shielding tape offers excellent conductivity, conformability and durability in a thin, lightweight and flexible design. Our conductive fabric tape is based on a nickel over copper metallised synthetic textile yarn that is uniformly plated throughout its cross-section providing consistent low resistivity. 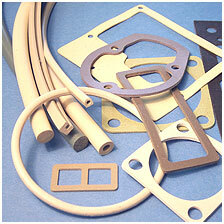 Furthermore this arrangement ensures that this type of EMI shielding tape is particularly resistant to abrasion as ‘fresh’ plated fibres are continually exposed as the outer surface wears. 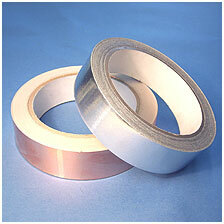 This tape is typically available on 50m rolls 10-1000mm wide. 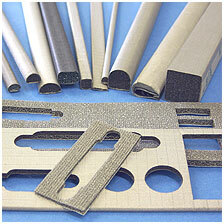 These tapes can be supplied to any width in rolls up to 1.2m wide. The rolls are 20 or 33m long depending on type and are usually in stock in 10, 12, 25, 50, 100, and 125mm wide. All tape types are available either with non conductive adhesive, conductive acrylic adhesive or without adhesive (plain foil). 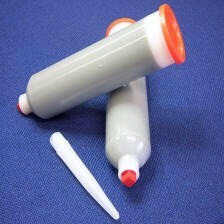 The adhesive backed versions can be wound on a release liner or self wound. They are also available as individual die cut foils. In order to achieve the best possible electrical performance it is important that the surface it is to be applied to is not only clean but free of any oxidation /corrosion.